Campagnolo just got a little wider. Following the trend of wide range cassettes and standard compact cranksets, Campagnolo joins the game with the Potenza groupset. 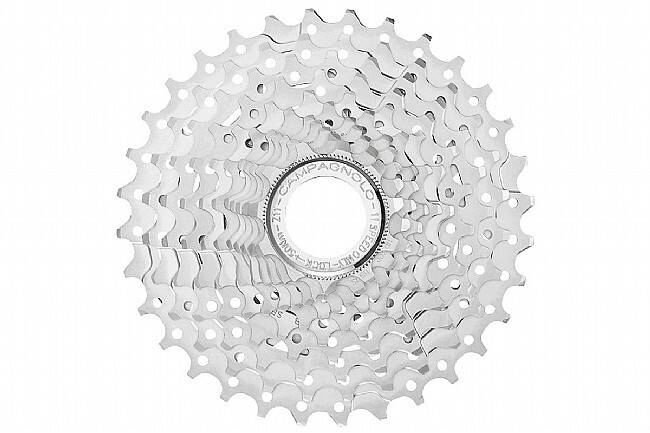 Featuring an 11-32 gearing, this cassette delivers a consistently responsive, precise and fast riding experience. This cassette features a single triplet of cogs and 8 single sprockets separated by aluminum spacers.